Spring break season is almost here! You’re not the only one it snuck up on. Just because you don’t have any plans yet doesn’t mean you can’t plan an epic trip to one of the world’s best luxury spring break destinations. Leave the planning to me so you can start packing. As your personal luxury travel agent, I can guide you and your family in the right direction. Here are a few of my favorite last-minute luxury destinations for those looking to soak up the sun! When you think ‘spring break’ do you think about music, white sand beaches and chilling out with colorful drinks with umbrellas? You’ll find all of that here at St. Lucia in the Caribbean, but you can also experience a lot more. This small island invites mountain hiking, catamaran sailing, reef diving, rainforests, and waterfalls. Who knew such a small island nation could hold so much! 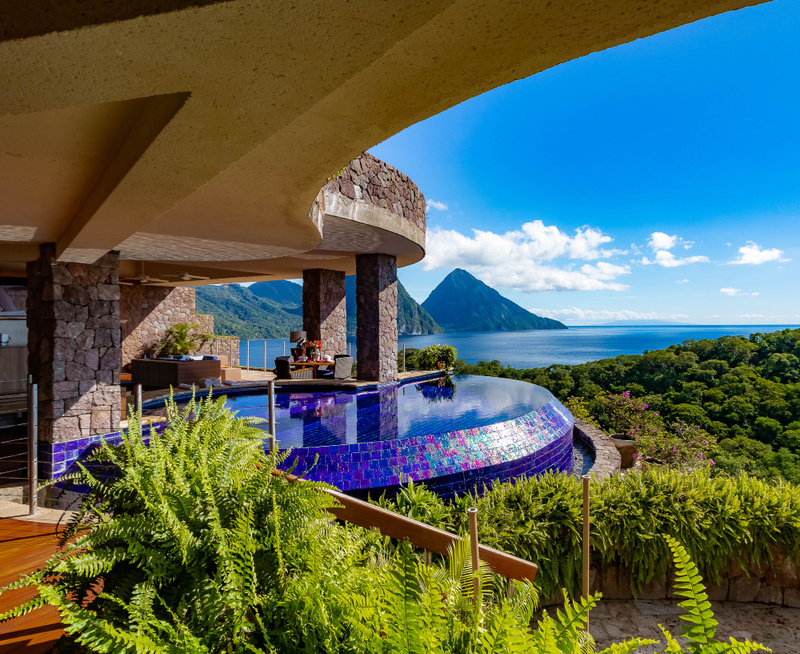 On my recent visit, I even got to experience the luxurious Jade Mountain Resort, the definition of ultimate luxury destinations. Falling in love with this breathtakingly beautiful island is easy. Beyond some of the best beaches in the world, the island nation’s capital, Bridgetown, offers a trip back into British colonial history. Save at least a day to explore this quaint city. Barbados is recognized as a playground of the wealthy, but being luxurious here doesn’t have to mean spending a fortune. The Netherlands and France share this small Caribbean island — hence the name variation. Regardless of which part of the island you call temporary home, be sure to visit the hip beach town of Grand Case on the French side. Boating, snorkeling, swimming, sightseeing, and people-watching are favorite activities here. Yes, even the Island of Aloha isn’t out of your last-minute budget consideration if you plan your travels carefully. Within this tiny group of Pacific Islands hides a world of adventure and breathtaking accommodation. When you sit down with me, we’ll go over the islands and which best suits your perfect vacation bucket list. Between Maui, Oahu, Kauai, and Hawai’i, the options between luxury and adventure are endless! There’s a reason why Hawaii is consistently named one of the best luxury destinations in the world. If you’ve decided to wait out this year and instead look at the future, I have one more surprise up my sleeve. Virgin Voyages just announced a BRAND NEW cruise experience, and it’s already rumored to be one of the most luxurious cruises in the world. The adults-only cruise will offer incredible accommodation options and is even rumored to host a tattoo parlor on board. Now that sounds like an epic spring break! Spring break isn’t just about white sands, cobalt blue water, and island vistas. For a different sort of vibe altogether, consider the hip, bustling city of Amsterdam. Explore the music festivals, art and unique culture of this vibrant European city of less than 800,000. Amsterdam is proudly “weird” in all the right ways. Whether deciding on this year or next, these are just a few incredible spring break destinations. Call me at (980) 999-0414. I’ll show you a world of luxury travel destinations and help you pick the one that will result in a truly unique and unforgettable spring break!